Life Lessons is about testing everything in life and keeping what is good. Our dream is to create a nation of mentors that unleash the full potential of humans. To date, we have over 2 million mentors and proteges well on their way to a transformed life. Life Lessons on Cyber Readiness with Meghan Hannes of Hiscox. 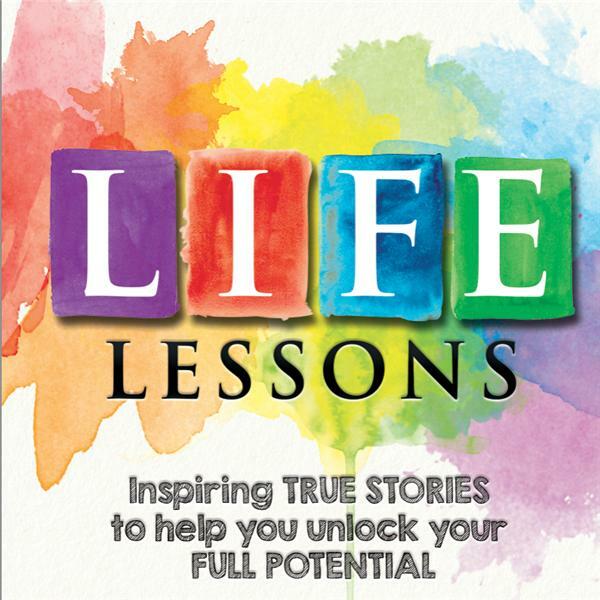 Life Lessons with Dr. Lisa Masterson hosted by Rick Tocquigny. Despite their wealth and fame, pregnant celebrities are as susceptible to morning sickness as any pregnant woman. Recently, celebrities have been increasingly open about sharing their experiences with nausea. The fact that morning sickness is no longer a taboo topic in Hollywood is good news for the estimated 3.4 million pregnant women in the U.S. who suffer from the condition each year. Nausea, vomiting, gagging and retching, ranging from mild to severe, can make daily life miserable and it is undoubtedly helpful for them to know that they are not alone. For most women, morning sickness symptoms resolve by 14 to 16 weeks. However, some women suffer throughout their pregnancy and as many as 95% of them experience symptoms well beyond the morning. Because morning sickness is so common, doctors may underestimate its impact and women may believe that it is an inevitable part of pregnancy. Dr. Lisa Masterson wants women to know that this is not true. Life Lessons with Lisa Masterson, MD, discusses what pregnant women can expect during pregnancy and to share helpful tips for managing morning sickness symptoms, such as: The importance of exercise Eating small portions often Aromatherapy with lemon and ginger Not going to sleep after large meals Avoiding spicy foods Discussing treatment options with your doctor A former host on The Doctors, and currently sharing health and lifestyle information via her website, Health in Heels With Dr. Lisa, Dr. Masterson is ob./gyn. specializing in pregnancy, infertility, adolescent gynecology and family planning. Pet owners and their pets spend more time outdoors during the warmer months. As you refresh on summer safety tips, don't forget all the time spent at parks and camping/hiking spots and even just playing in the backyard, can mean fleas and ticks–which thrive in tall grass and leaf piles –may be ready to pounce on man's best friend. Fleas and ticks can easily latch onto dogs and cats, and can spread serious diseases. Lyme disease is the most common illness caused by tick bites, representing 72% of the tick-borne diseases reported in humans in 2017, and can be fatal if left untreated. Last year, the Centers for Disease Control and Prevention (CDC) reported human illnesses from mosquito, tick and flea bites more than tripled in the United States from 27,388 in 2004 to 96,075 in 2016. The data are a strong indicator of animal illnesses, as well. The CDC is set to start monitoring the nation's tick problem as well as the diseases the pests might be carrying. With the rising numbers, pet parents can take measures to protect their four-legged friends, including checking pets and family members regularly and having pets protected with a preventative year-round. Lyme disease has been found in every state in the U.S. Other Safety Tips for Dogs this Summer Include: Never leaving them in a hot car even for a few minutes Keeping a dog's paws cools Making sure a dog always has access to fresh drinking water and shade Don't assume a dog can swim well Indoor pets are as much at risk of contracting fleas and ticks as outdoor pets Dr. Dan Markwalder, DVM, will be available to share advice for keeping your dog safe this summer, with special emphasis on protecting pets from flea and tick infestation and Lyme disease. He'll also outline the signs and symptoms associated with Lyme disease. Church Kitchen Ladies features Shirley Yeager of Murdock Baptist Church, Port Charlotte, Florida highlighting the great volunteers and the difference they make. Hear the story of Joan- the baker, and the important guys that are cookin' up fun, faith and food- Mke, Dave, Frank and Joe! From teenagers to wise people over 70, Shirley's cast of 20 volunteers are second to none. Today, we thank them for their hard work and service!! Get a keen insight into special events and how this church kitchen does banquets and lunches for teachers, Eagle Scouts, and many others in the Murdock area. This show is presented by Gracefully-Yours greeting cards- America's favorite inspirational fine art cards. Visit www.gracefully-yours.com for more information. Gracefully-Yours Greeting cards presents Life Lessons from Tiger Woods winning his 5th Masters with host Rick Tocquigny. Visit www.gracefully-yours.com to purchase your favorite greeting cards and travel journals. Gracefully Yours Greeting cards presents Mentoring Monday with Tammy McKinney presented by 4wordwomen.org. Visit www.gracefully-yours.com for your favorite encouragement cards. Transformed Traveler Show with George Kourounis of Nat Geo and Discovery Channel's Angry Planet hosted by Rick Tocquigny. This show is presented by www.gracefully-yours.com, home of America's favorite travel journals. CEO in 10 on StartSpeed model for entrepreneurs. CEO in 10 StartSpeed model with host Rick Tocquigny.